It looks like this is becoming an annual thing. I participated in its first year, in effect, last year and participated again this year. I rocked a day 4 old twist out that still had a ton of definition this past 4th of July. I luv'd it. * I twisted medium size twists on damp hair. 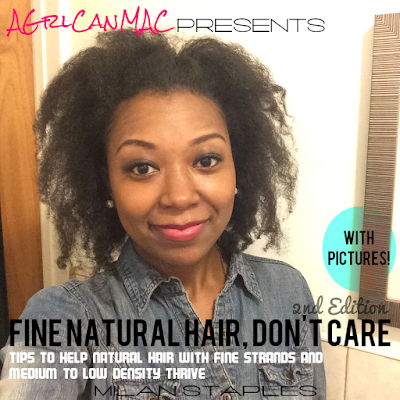 * Tip: I think my hair stayed defined as long as it did b/c I fussed with it minimally. When I took each twist down, I didn't separate them at all. I let them stay in tact and expand as the days went on. Sometimes separating the twists leads to frizz and loss of the set curl pattern faster. That's it. I didn't put any extra product on my hair while I had the twists in or when I took them out. At night, I slept with my Stay on Right hair sack and this helped tremendously, as well, in keeping my hairstyle fresh. Did you rock your Fro for the 4th?